Let’s get one thing out of the way. I had two weekends in the Hague, and I did not see the Girl with the Pearl Earring. In fact, I did not go to see any of the paintings of Vermeer – or Rembrandt, for that matter. 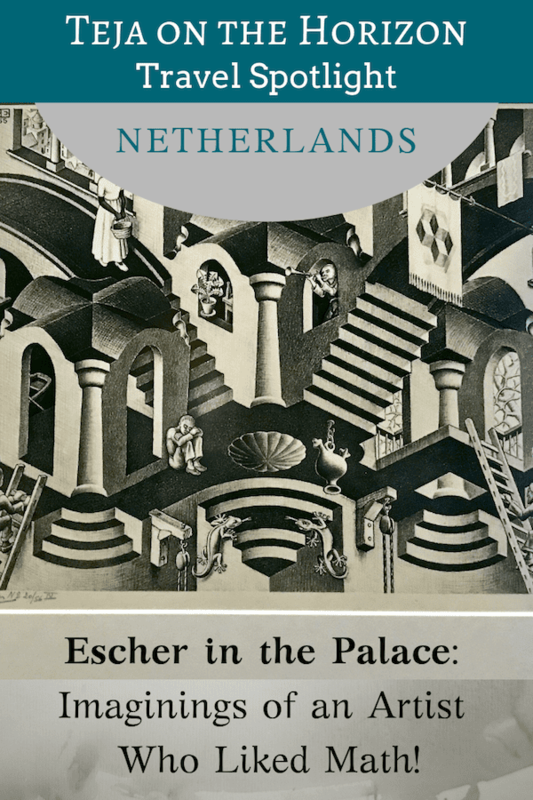 The Dutch art museum in The Hague that I went to see instead, was for Escher. I’m contrary that way. Indeed, the more my colleague recommended the collection in the Mauritshuis, the more disinterested I became (sorry, Gregg). I’m sure they would have been amazing artwork. And if it’s your first time to Europe to see the Renaissance masters, then definitely do exactly that. But I have already seen some of the best. Would I be going because I really enjoyed the Dutch masters? Or just peer pressure? I could not say, and the doubt tamped down my interest further. Or maybe I’m just an art blasphemer! I can’t remember which colleague told me about the Escher museum. Maybe Gregg did. Or perhaps it was Jonathan, who is more accustomed to my eccentricities. Anyway, the name was vaguely familiar, so I looked it up. There was no question about it. This is the museum I had to visit. Ohh…. Escher! The impossible staircase guy! And this one is shaped like a globe! 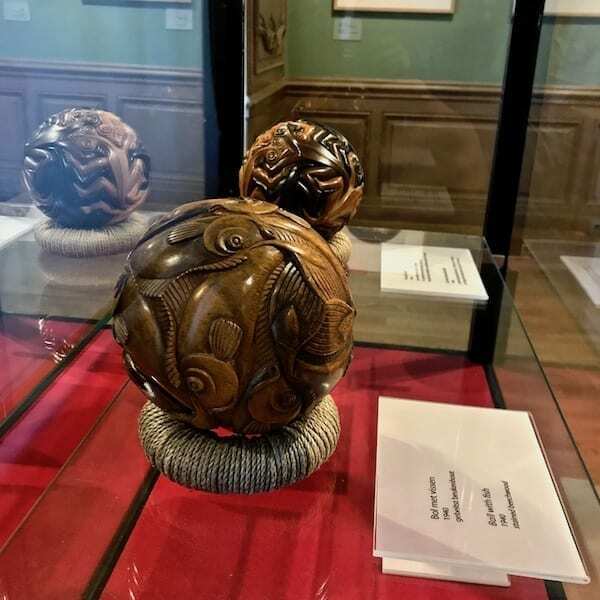 The Escher collection is displayed in the Hague, within the palace at Lange Voorhout. Despite the term ‘palace’, it’s not a huge building. Perhaps if it was not associated with royalty, it would be more like a mansion. My colleague informs me that the Dutch prime minister cycles to work like anyone else. This is unsurprising, if even the royals are this practical. 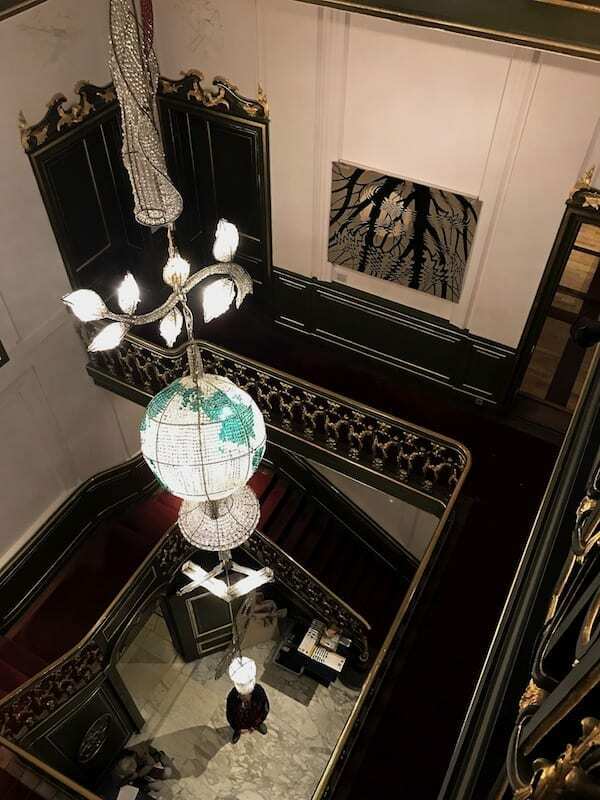 As you go through the palace browsing the Escher collection, spend a moment to look at the chandeliers in the rooms and stairways. Where else would you see eccentric chandeliers shaped like a skull or an umbrella? Designed by Hans van Bentem, it’s like having two museums in one. The museum is open Tuesday-Sunday, between 11am to 5 pm. It is closed on Mondays. There are additional considerations for holidays. Check the website for the most up to date information. Details for additional discounts are at the website. Why did I absolutely have to go to the museum dedicated to M.C. Escher? In fact, I read that you would once be looked down upon for liking his type of art. Thankfully, this snobbery has dimmed with time. Fortunately for me, in that same year a movie was released which makes it so much easier to explain the awesomeness of Escher’s mind! Are you quite sure a floor can’t also be a ceiling? ~ Escher, 1963. Here, you don’t feel like you have to ‘know’ art, that you’re supposed to feel something or other, or understand that an installation is supposed to mean such and such. 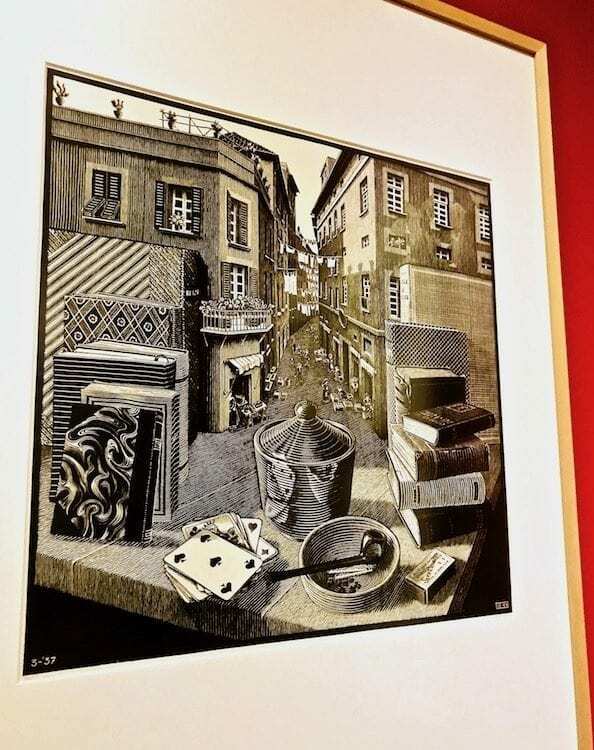 No, Escher’s skill is not quite in brush strokes and paints and causing images to come vividly alive. Rather, it is to construct a virtual reality that is mundane and impossible at the same time – and cause us to accept it nonetheless. One barely notices the shift; two mutually exclusive perspectives seem to exist at one and the same time. What does it take to make a person believe what cannot be? Despite not actually receiving mathematics training, Escher’s work is often described as ‘mathematical’. It is whimsical and imaginative – but unlike other artists of whimsy, structure is never absent from his work. In fact, in his own way, he embraced it. Indeed, the impossibility of his subjects is all the more astounding, because he somehow used structure itself, the concept that usually limits what is possible, in order to make the impossible. So it’s actually a paradox on two levels. It’s obvious why this abstraction endeared him to mathematicians. You rarely get more meta than this! It’s this philosophical balance that appeals to me, making him far more interesting than ‘conventional’ artwork. A Rembrandt is impressive. But it does not cause me to question for days whether the edges of reality are as solid as I perceive it. 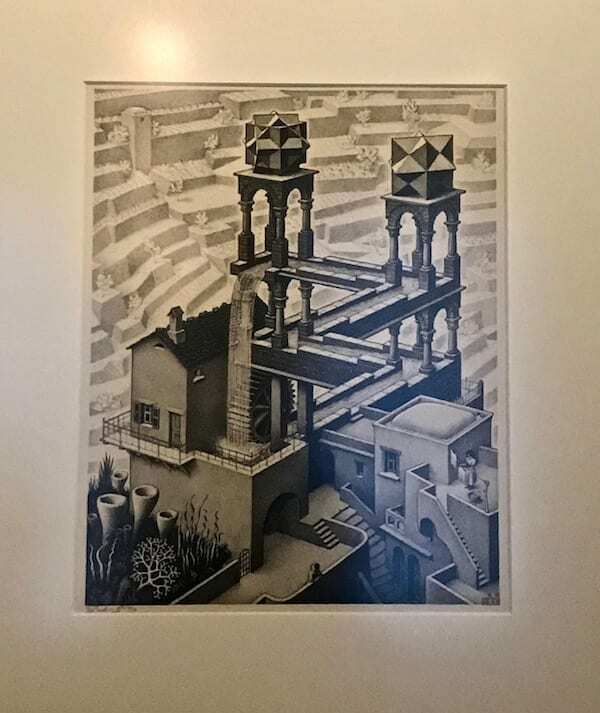 What intrigues me is the way Escher created and held mutually exclusive realities within a bespoke, improbable space, in which what normally does not happen – could. 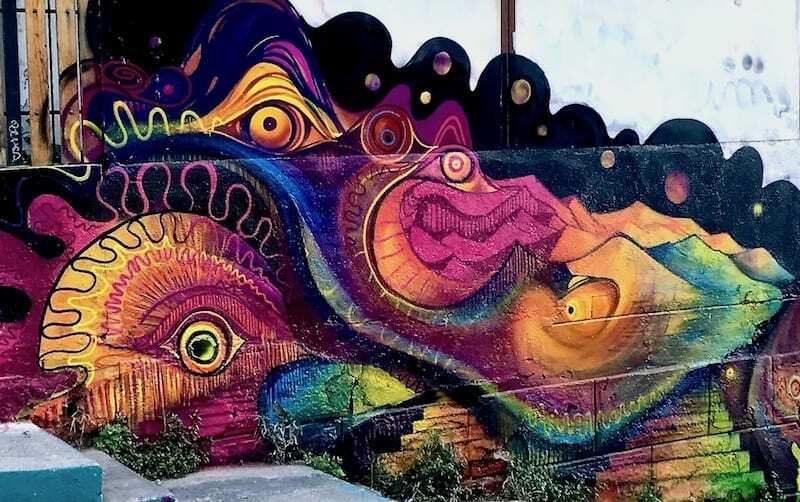 Like a magician he removes solid wall to make you see impossible reflections, shifts boundaries of form to depict diversity through structure, and loops space to depict infinite superposition. An inquiry of the limits of structure commands a particular respect from the scientist. Many discoveries of science happen when limits are similarly tested. When the laws of nature are so well understood, that we can build conditions required to discover things that normally happen out of our reach. After all, what else are laboratory conditions devised to discover elements normally too unstable to be found in ordinary conditions? The ideas that underlie [my work] often bear witness to my amazement and wonder at the laws of nature that operate in the world around us. If you have a sense of wonder, you realise that their existence is itself a wonder. ~ Escher, 1947. The eight-pointed star is a very common motif in Andalusian mosaics. 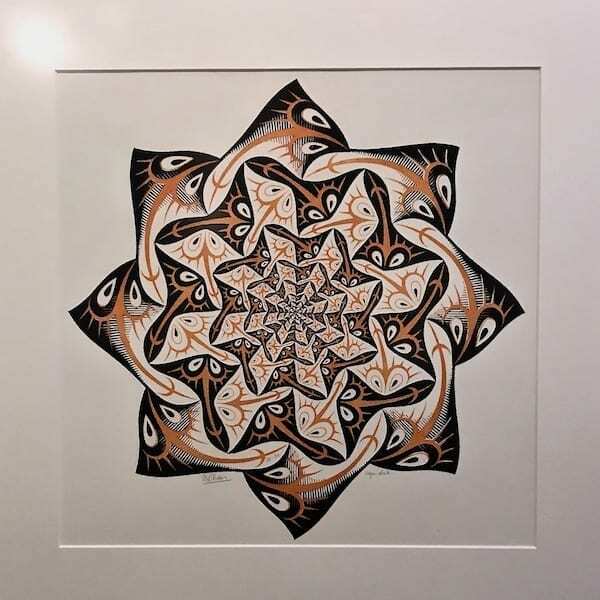 Escher made a fractal one – genius! As I browsed through the collection in the museum, I learned something I did not know before. However, it did not surprise me in hindsight. Out of all his Mediterranean influences, a strong muse was Andalusian Spain, and the Alhambra in particular. And since I had the good fortune to have visited Granada, I immediately saw it once it was pointed out. Indeed, it can be seen in a great number of his works. The influence is the most striking in his tessellation work. The interlocking, repeating shapes, extending on and on into infinity – it is a geometry-based art that is common in Islamic architecture and art, which had some of its finest Golden Age periods in Andalusia*. But here, Escher brings it up a notch by experimenting with tessellating organic shapes such as birds and starfish. 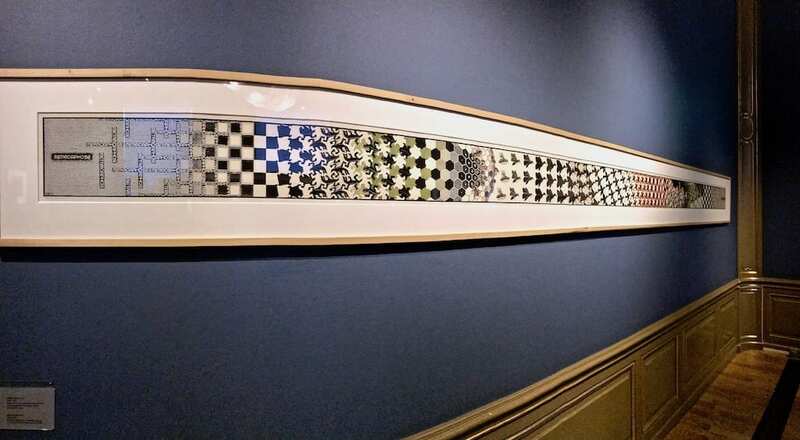 His masterpiece is Metamorphosis, a really long piece of tessellation art where the interlocking shapes repeatedly shift into new shapes, evolving and evolving, on and on. He had an insightful eye, zooming towards the structure that the world rests upon. He folded and morphed said structures to create – ad infinitum. And indeed, this is the kind of creativity that nature makes for real. 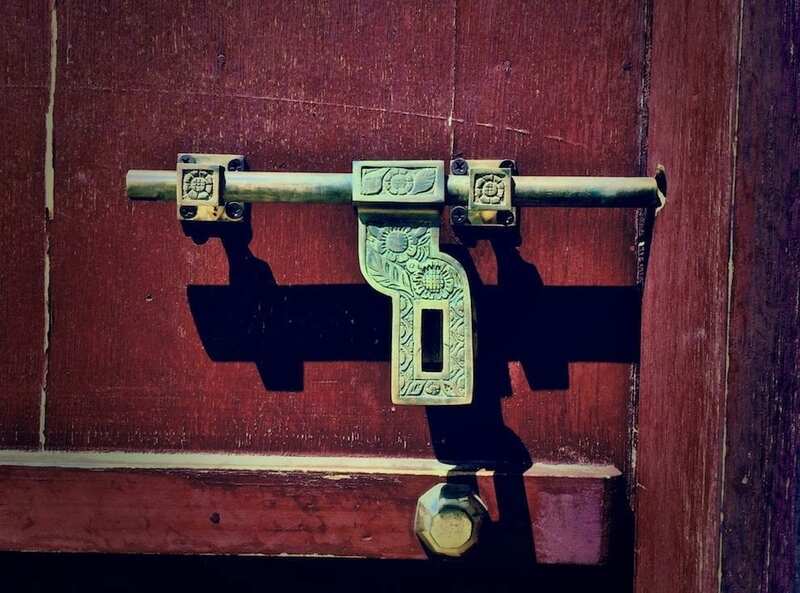 It is the kind that has substance, that could become real new things. As a Muslim, it is philosophically very familiar terrain. 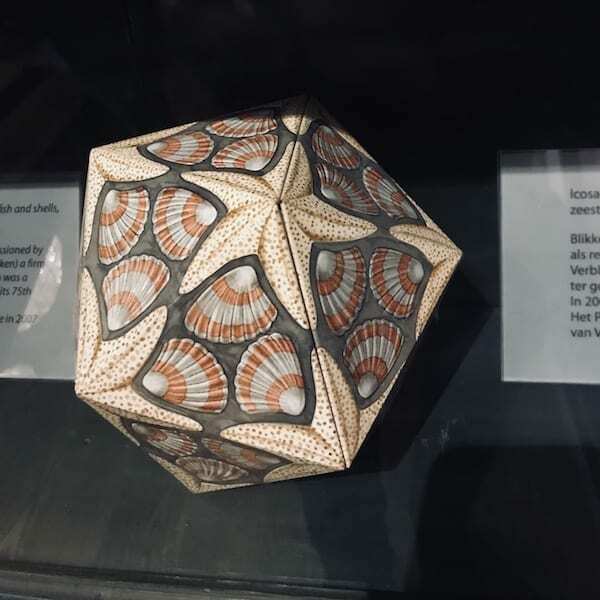 A section of the collection displayed Escher’s tessellation work in actual 3D objects. Presumably he drew from his carpentry training to create them. This section also hosts other optical illusion installations – the kind of 3D art that’s gaining popularity lately. I spent some time to gaze at the balls that he made by hand. It is seriously cool that he could create tessellated shapes that lock into each other in 3D space. What could he have imagined, I wonder, with the mathematics and computing power of today? Andalusia: The period of Moorish rule in southern Spain, which coincided with a Golden Age of prosperity and advancements in infrastructure, architecture, science, philosophy and the arts. It is also famous for its period of amity between the mixed population of Christians, Muslims, and Jews – Andalusian intellectuals came from all three groups. Love Escher too? Pin it! We did just the same as you! The only museum we visited in The Hague was the Escher! 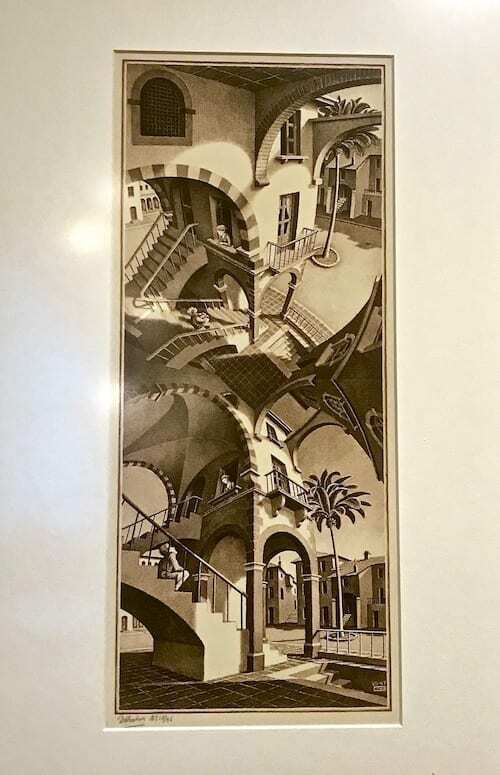 We were only there for a day and my (teen) boys love Escher so it was a no brainer. The Vermeers can wait till I go without the teens! I would totally pick this one, if I had to choose just one museum. 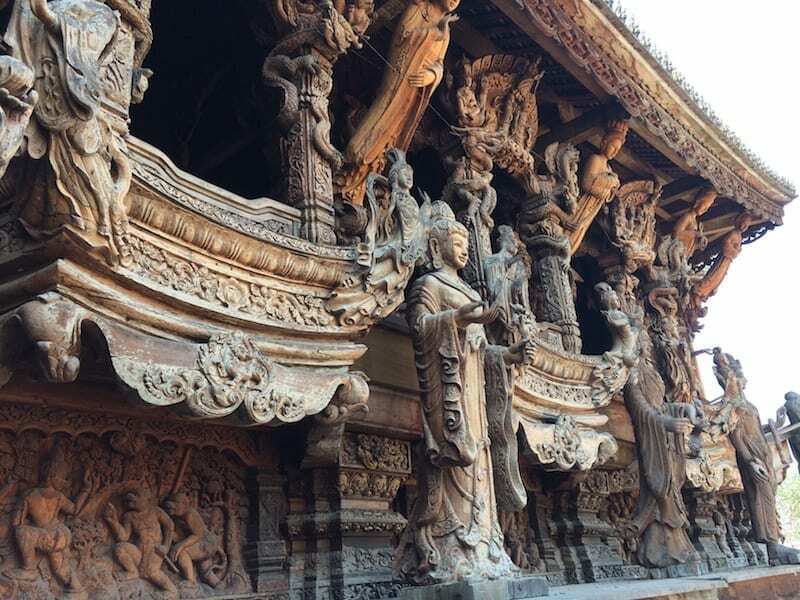 I just love that combo of imagination and structure. I did go to one other museum in The Hague, though – the Panorama Mesdag. It was another eccentric pick, and I enjoyed it as well, for different reasons! Wow! This place looks absolutely fascinating. I’d never heard of it but I’d be excited to learn here. I enjoyed it. I didn’t realise he did other stuff, and that different things I’d seen before, were all him! I love Escher, we were only in The aHague for a short time and opted for the Mauritius, will just have to visit again!